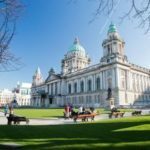 Twelfth European Social Science History conference in Belfast, 4-7 April 2018 at Queens University. The Oral History and Life Stories Network brings together oral historians and life stories practitioners who use oral histories to explore memory, narrative and history. This time we explore how do we as oral historians handle time in different ways? Oral history is related to several aspects of time and can be understood as the establishment of a dialogue between experiences in the past and the lived situation in the present. As interviewers we take part in, and through questions contribute to, narrators continuously meaning making of their experiences in the past. Research and interviewing takes time and are conducted at a specific time. Further, what happens over time with the oral history interview as source, when we revisit our own interviewees for a second, third or fourth time, over time or many years later or when we re-use our own or other researchers archived oral history interviews? Broadly, we want to encourage papers that explore recent methodological questions and challenges as well as the relationship between oral histories and the construction and analysis of life stories, both in terms of processes and outcomes. This, for example, might include the conceptual use and reuse of both oral histories and life stories in research, and/or considerations of the methods involved in both. We would encourage proposals that attempt to cross the oral history/life history divide (bringing the two research communities together). In addition to classic sessions consisting of individual papers, other kinds of presentations an sessions are also possible, for example Meet the Author sessions (in which several experts comment on a recent and important book, after which the author responds), round table sessions (in which several experts discuss the same topic rather than present research results) or a film, introduced by the maker or an expert and afterwards discussed with the audience. Please note that our Network is often oversubscribed. If this is the case for the Belfast 2018 conference, the Network chairs will select in the first instance those abstracts that meet the themes highlighted in the call for papers. We will also only consider proposals that draw substantially on oral history and/or life story methods (and are research based). We will also prioritize papers that are of high quality, and/or innovative in argument or method. While we welcome proposals for panels these must be international in membership (and from different institutions), and each of their constituent papers must be of a high quality. The over-riding criterion for selection is strength of papers; if a proposed panel is not strong enough en bloc, the organisers will (as in 2016) consider the merits of papers individually. Our Network does not favour discussants; so that if a panel proposal includes a discussant it should indicate why they wish to follow this format (and that if they do, the panel must comprise a maximum of four speakers plus a discussant). Sessions can have a maximum of five papers.